In recent days many parts of the south coast have seen the arrival of good numbers of Clouded Yellow butterflies. This one was one of four sighted at the mouth of the Helford Estuary, in south west Cornwall. This included the very pale form, Helice, which can easily be mistaken for one of the White butterflies. 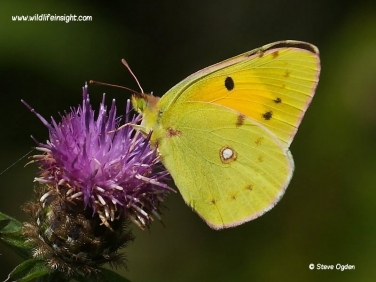 The hope is that Clouded Yellows will continue arriving from the continent and numbers will build to be comparable with the last good year of 2006. 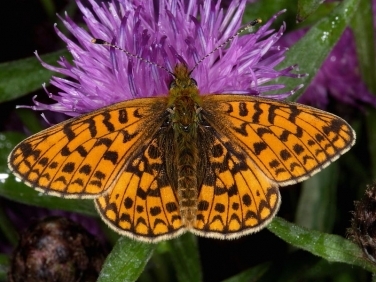 Other sites we’ve seen this fabulous yellow butterfly have been at Predannack and Windmill Farm on the Lizard. Migrant butterfly and moth numbers have generally increased with the improved weather with good numbers of Red Admirals, Hummingbird Hawk-moths, Painted Ladies and countless Silver Y.
Migrant numbers arriving have also been boosted by strong broods from early arrivals. And in recent days strong second broods of resident butterflies such as Wall Brown, Small Tortoiseshell and Small Pearl-bordered Fritillary have emerged.